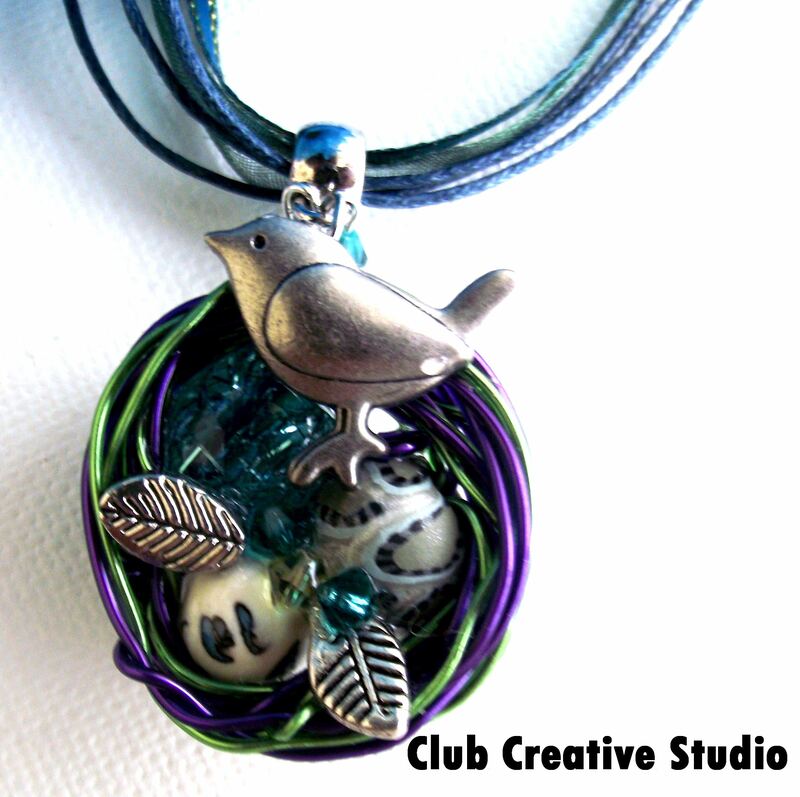 Close-up bird theme pendant from Club Creative Studio. 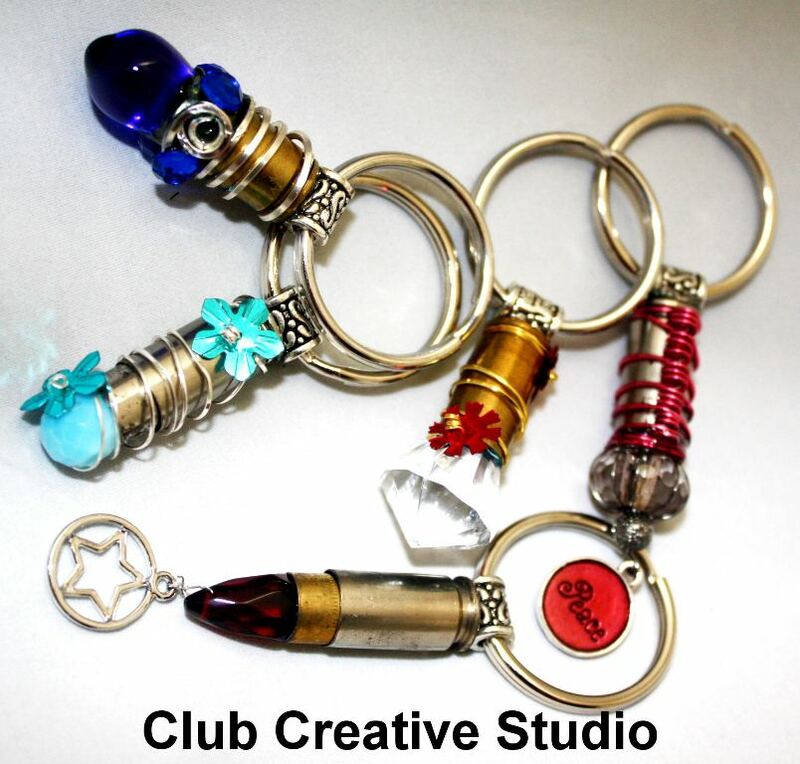 Club Creative Studio highlights a creative item offered through the online storefront website on Feature Fridays. Today’s post is a new item line and it captures the details of the new Nest Necklaces. Nest Necklaces are fun hand-made, mixed media pendants. 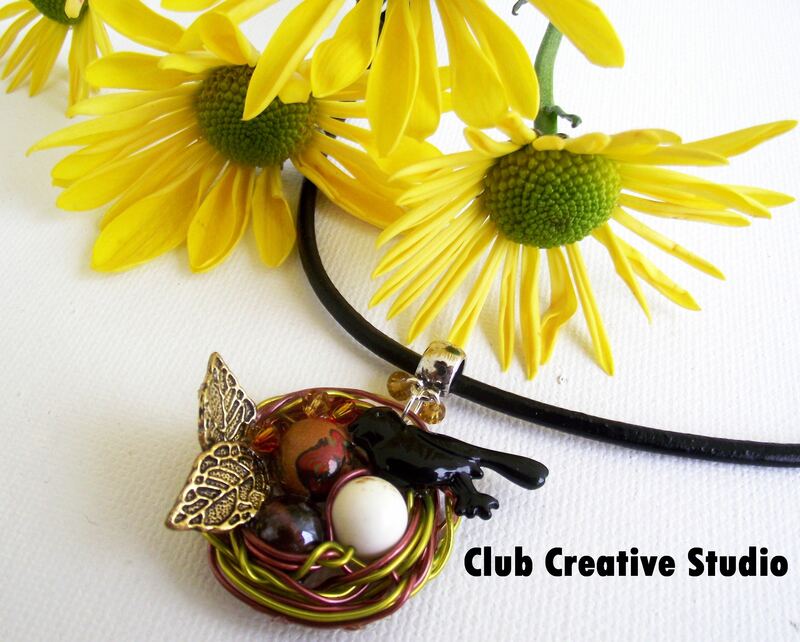 The mini bird nest theme pendants range in size but, average to be about one and one half inches wide in diameter. Created to celebrate Spring and capture the symbolic images of Spring- nests, bird eggs, new life, and birds. With a bird theme, each pendant is made to be one-of-a-kind and feature a bird charm along with mixed media elements in metal, clay and or glass findings. 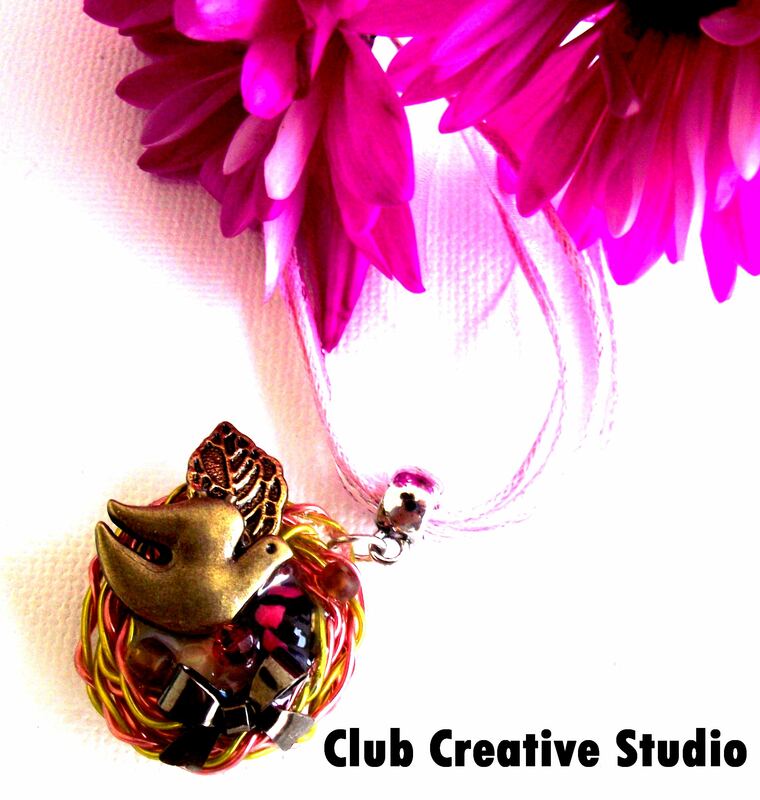 Club Creative Studio’s bird theme hand-made pendant necklace. 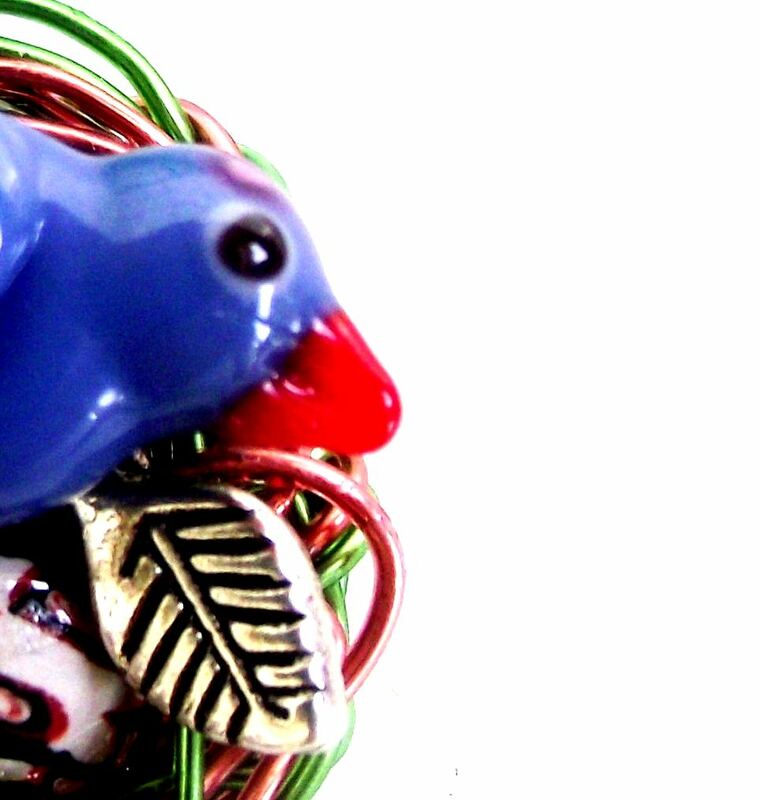 Each nest form is hand-twisted from coated color wire. Added to the theme pendants are metal charm birds and a variety of hand-rolled clay or hand-torched glass beads. The necklace pendants are especially appreciated by “bird-lovers”, “nature-lovers”, and anyone who likes unique wire worked jewelry. The pendants are light-weight and colorful. 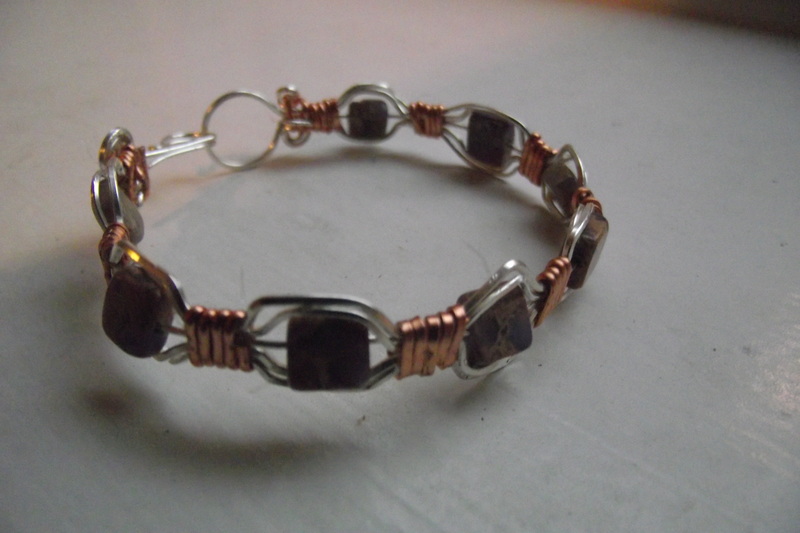 There are two styles of strands that are featured in this series. Pendants are designed with either a coordinating multi-strand ribbon strand with an adjustable lobster clasp or a leather-like black cording that has an easy snap closure on the end. Both type strands compliment the pendant and are very light-weight when worn. Celebrate nature with bird theme hand-made jewelry art. 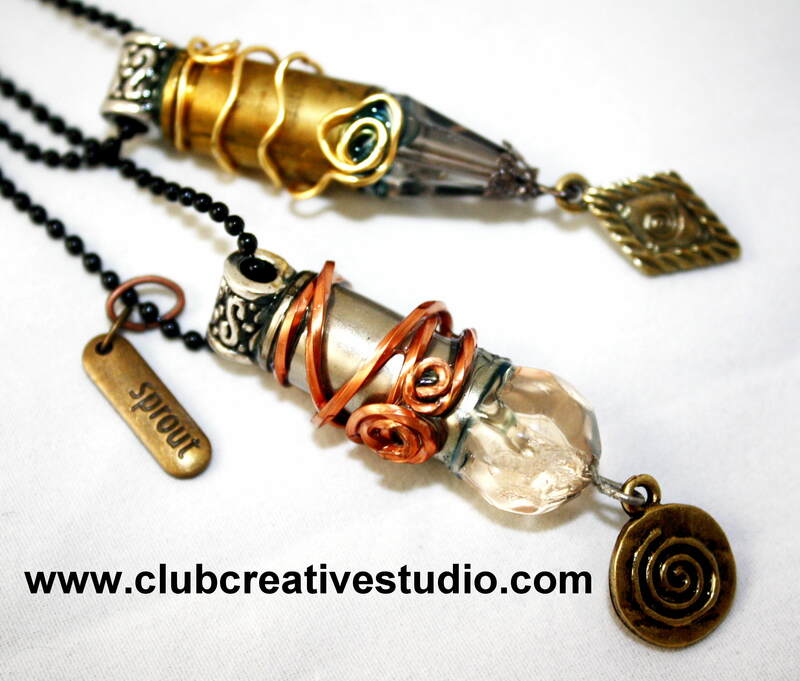 Enjoy the new theme collection and find them online from the Club Creative Studio website under the category: Mixed Metals, along with other Art That Sest You Apart! HAnd-twisted colored wire and mixed-media pendants. 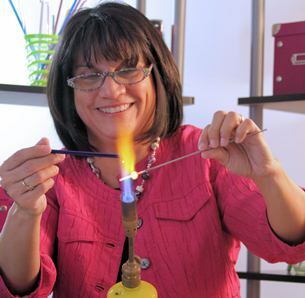 >Hand-made items contain heart, soul, and emotion from the artist. Those qualities could be reflected in your reasons why you are drawn to hand-made art items as well. 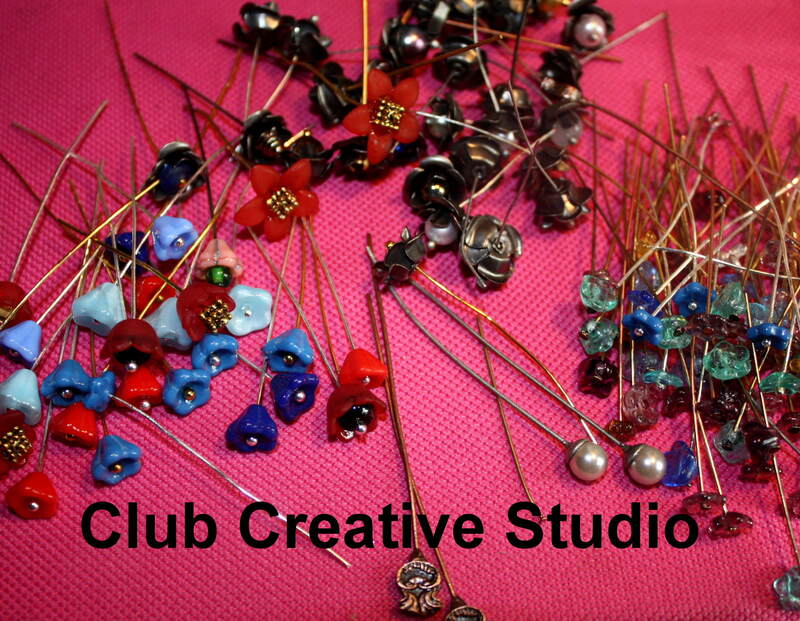 Club Creative Studio invests time and talent into the creation of hand-crafted beads. Insuring that an item is created with care and originality is a proud point in knowing that item is truly unique. 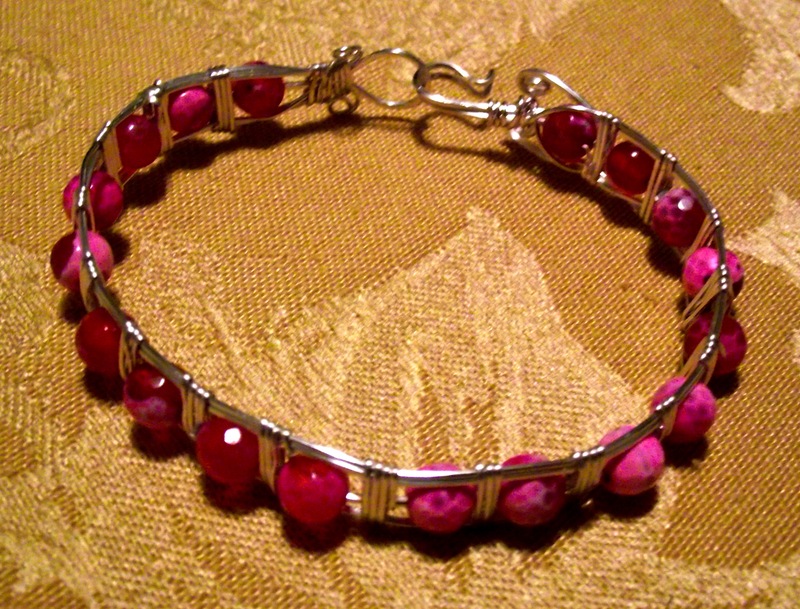 It is one reason why persons prefer to purchase handmade items. It is the main reason why we say that our beads are works of Art That Set You Apart. When you find an item that is hand-made, you should automatically realize that someone has dedicated their creative energy and time into the final product. Some may assume that because a person has “creative talent” it is easy for them to whip something up quickly and not spend time on a plan for the outcome. For me, the plan may be in my mind already but, it may have been inspired directly from something preplanned like a sketch, a prototype sample item or even something designed that did not work out well for some reason. A plan is involved. The new item line that will be announced soon, has been in my mind for the market for almost a year. 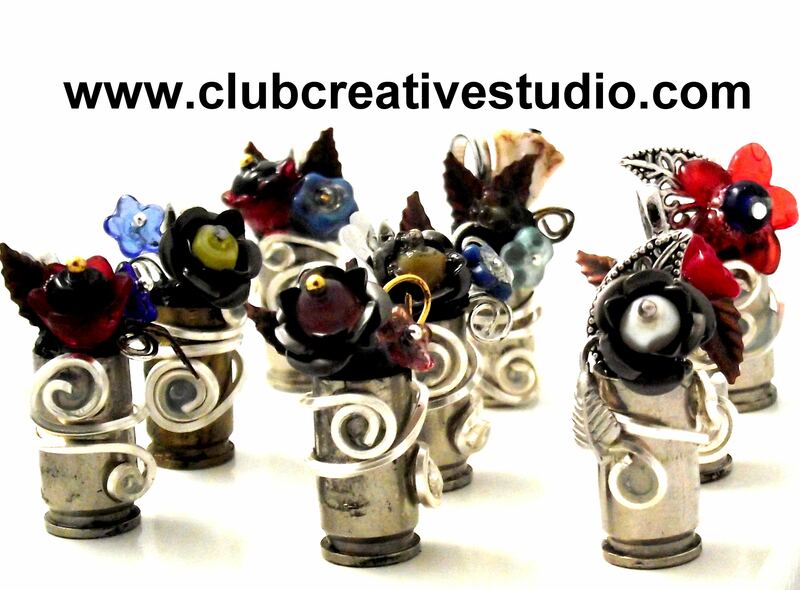 The inspiration was to find a functional and fun way to display Club Creative Studio beads…and this is it! This product will have combined heart-strings as it includes the artistic endeavors of another profession. This item will become a reusable keepsake as well. Continue to check this blog site and the Club Creative Studio fan page for more hints and information about this new item. I continue to be excited for the debut and the launch of a very creative and eye-catching item to enhance your home. >NEW PRODUCT LINE ANNOUNCED SOON! >I am extremely thrilled to announce a new item in our product line. 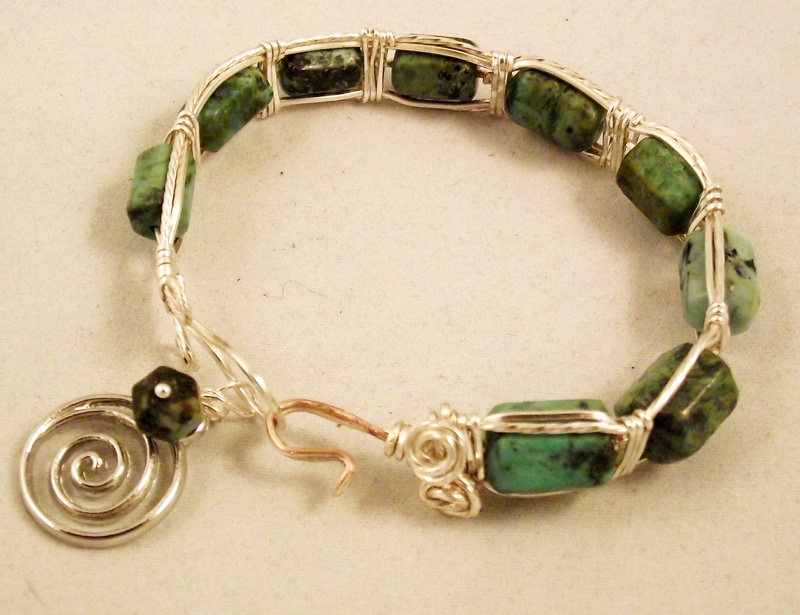 It is a unique, creative and functional item that incorporates Club Creative Studio’s hand-rolled clay beads. 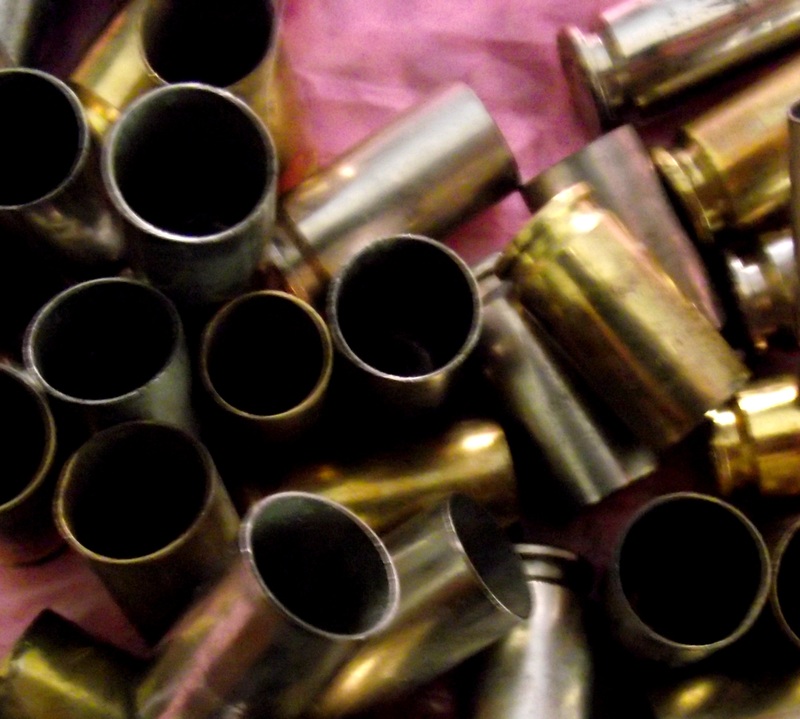 Hint: It is NOT jewelry. It will be available very soon, in an exclusive shop. 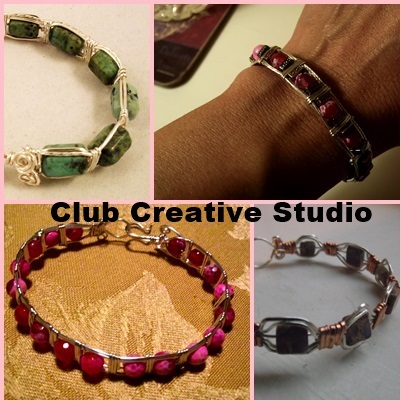 Keep checking the Club Creative Studio fan page, the Club Creative Studio blog and a “special feature” section on the Club Creative Studio website.